The landscape is both a place and a state of mind. Click here to download Mark's CV. My interest in scientific processes along with a love of natural science and the American landscape has merged with a long-standing dedication to abstract painting. To that end, the paintings involve much more than a straightforward application of pigment to surface; they comprise the literal and visual transformation from memory, photographic images to digitally manipulated drawings to hand-made paintings. They are a sincere amalgamation of science, technology and my own hand. 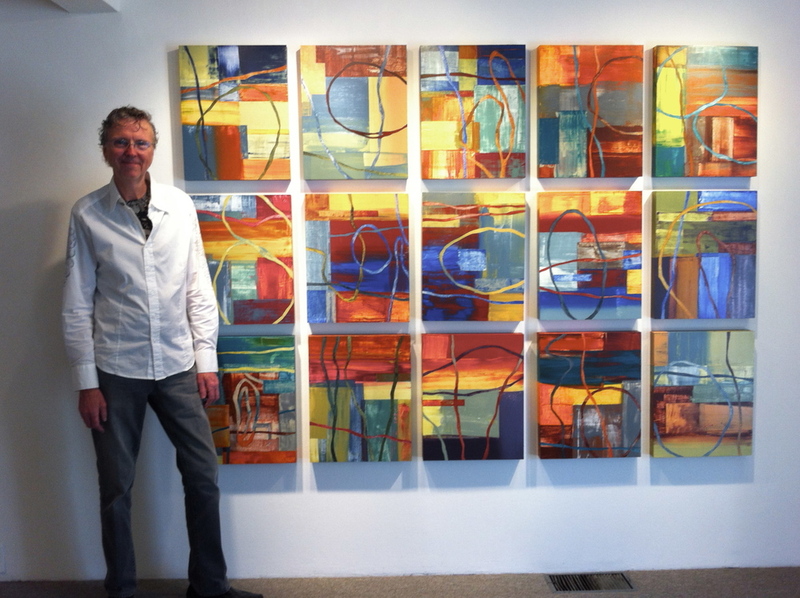 Mark Stephen Smith is a painter with over four decades of experience working as a professional artist, design consultant and Professor of Art and Design. The artist works from his studio complex in the hills of Argyle, Texas, just north of the greater Dallas/Fort Worth area. Working in close collaboration with designers, architects, corporate and private clients, the artist does commission works as well as individualized works for specific homes and environments. The process starts by studying satellite images of the Earth's surface. I use specialized software and digital drawing media to manipulate, deconstruct, and rebuild the images as nonrepresentational and abstract fields. Often the design phase incorporates digital samples of my own paintings, as well. Coupled with the new imagery, these studies preserve additional visual layers of history and metamorphosis – both on the Earth's surface and in the artwork. The final paintings are a spontaneous response to these carefully researched and constructed drawings. The work builds up complex layers of color and texture. By playing with the consistency of the paint, I create a sense of slow movement and continuous flow. The paint is applied with brushes, blades, water jets, and hot air, mimicking geological forces and erosion – a technique that parallels what I see as response to Earth's physical changes, both natural and manmade. The paintings are done on lightweight kiln-dried hardwood panels using Golden high load acrylic paint and sealed with seven layers of UV varnish.